This was posted 1 year 7 months 5 days ago, and might be an out-dated deal. Once 10,000 gifts have been redeemed, a message will be included on the claim website specifying "Offer limit has been exceeded" (or similar). A person may be able to complete the claim form but will not be able to use their promotional barcode received to claim a gift in store, if at the time of redemption 10,000 gifts nationally have already been redeemed. Did you just lol at your own username? Just did it, easy as. I think they were saying, it's better if you go through self checkout and if it doesn't work (eg. you are customer 10,001) it's easier to say you don't want it anymore. Yeah, good point. That's the way to go if you want to avoid embarrassment. @sagitox: My local Woolworths store doesn't have self-checkouts.. hah..
My biggest fear!! I want it, but only if it's free! lol! Do you pay the $5 and avoid embarrassment or do you say I don't want it anymore? No - true Ozbargainer way. Then it's not worth the effort and time - easier if you just say no at the first place. person may be able to complete the claim form but will not be able to use their promotional barcode received to claim a gift in store, if at the time of redemption 10,000 gifts nationally have already been redeemed. the T&C's gave it away, I hope people wont miss out. I just go crackers over cheese! dandandan on 17/09/2017 - 14:26 Comment score below threshold (-21). Olokun on 17/09/2017 - 14:29 Comment score below threshold (3). PictureMeBroken on 17/09/2017 - 14:29 Comment score below threshold (4). dandandan on 17/09/2017 - 14:36 Comment score below threshold (-11). jas0nt on 17/09/2017 - 18:07 Comment score below threshold (0). Build a house using cheese! The wife and I got ours via self checkout, no probs. Just FYI, if you're thinking about going for some at Menai, NSW, don't bother, they're all out. Checked with staff to see if there were any more but we got the last ones. Does it work at metro stores? wdmhbbbwctcdlbc on 17/09/2017 - 14:47 Comment score below threshold (-7). Gioindika on 17/09/2017 - 14:52 Comment score below threshold (-10). Managed to get 2 with my mate. Just FYI, its 1 per person and you have to scan the barcodes in separate transactions or it won't work. Thanks, I won't go to your supermarket now. Thanks for letting us know. That was helpful. I fear for more man-made global climate changes with all this cheese about to be cut. mtg on 17/09/2017 - 15:24 Comment score below threshold (-6). I prefer Edam .. the only cheese that is made, backwards. dangerdanger on 17/09/2017 - 15:37 Comment score below threshold (-5). What's a good recipe for this cheese? Cut thin slices and put on bread, then eat. If you want to get fancy, add sliced tomatoes. I followed the steps and got the barcode whilst waiting at the checkout but it disappeared by the time I needed to pay! Devastated! I am thinking redemption is based on redeemed email addresses rather than number of barcode scans. I guess if we all just use the generic barcode uploaded, this might last longer. It says above it goes on the first 10,000 scans nationwide. To stop at 10,000 scans, mainland would need woolworths to monitor live usage in the supermarkets. Not sure if this is the case. @victorheaven: It's stated in the t&c's? Hopefully you are right though! Hmm, the definition of redemption is somewhat ambiguous. Whether it is redeemed email addresses or redeemed vouchers. @victorheaven: I don't think it goes on email addresses.. Because you can still complete the form without necessarily getting cheese. I mean when you click redeem at the link sent to you. You will be assigned a reference number and 30 mins to use he voucher. I'm thinking that number of different reference numbers is used to count the 10k. @victorheaven: Exactly, so still only ~10,000 uses. Then their email addresses won't be seen as redeemed. @victorheaven: Hopefully that is the case!! Heaps left at Prospect NSW. Thanks OP. It isn't only the whats left in the store, it's only the first 10000 in the country that gets them. I'm just letting people know where they can still find them given that some stores are out of stock. Until someone says that they couldn't use the coupon here, this is still useful information. Gotta go out and grab one before I can! Just wondering if this only works on tasty cheese range? Local store is out of tasty too. Box Hill, Vic all gone. Wow! Onto next Woolies! 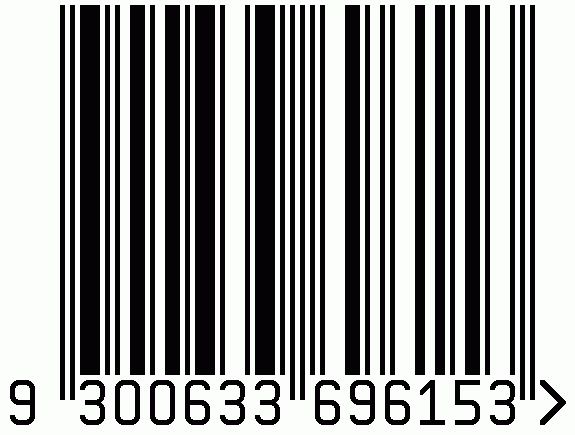 Barcodes do not scan at local Woolworths on two machines. Manual entry of barcode number fails too. No cheese and no cigar. The generic barcode someone posted an image of didn't scan for me but the one I got through the email did. Just had some on some thin captain biscuits and a beer and tasted really good don't know if that is because it was free or not. bennybaubles on 17/09/2017 - 16:44 Comment score below threshold (-12). DisabledUser164976 on 17/09/2017 - 16:59 Comment score below threshold (4). Feck, I was just at woolies. Too busy on the pogo to check OZB. Ozbargained at Calwell Woolies. Still plenty left as of 5:15. Looks like I was wrong but the checkout guy said the barcode was declined.